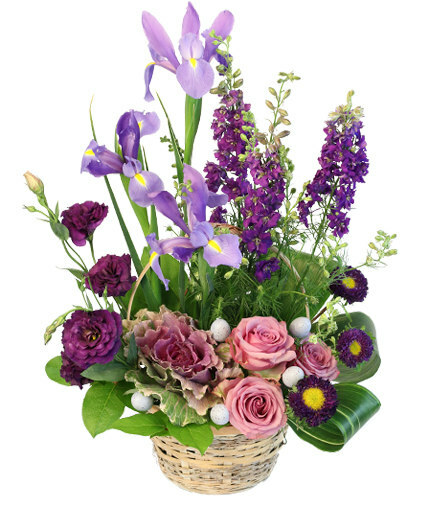 Beautiful fresh arrangement with colourful flowers that with bring the spring inside your home. 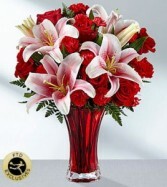 Wonderful Valentine's arrangement in a red vase that you can fill again. Oriental lily, roses. carnation, alstromeria and daisies. Delivered to your Valentine for a great price. 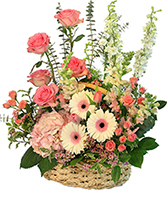 Pink Oriental Lilies bring beauty and excitement to this Valentine's Day arrangement offset by a dramatic backdrop of rich red roses, carnations and mini carnations, all beautifully accented with lush greens and presented in a classic keepsake red glass vase.